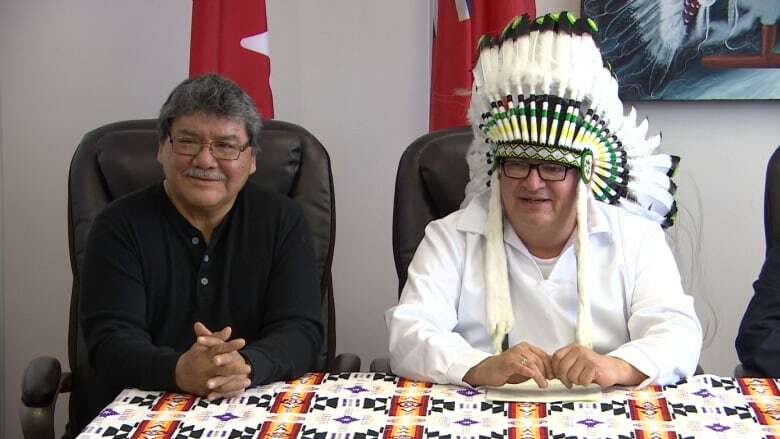 After fighting for better educational facilities for more than a decade, Bunibonibee Cree Nation, God's Lake First Nation, Manto Sipi Cree Nation and Wasagamack First Nation have signed a contract to build four new schools in their communities. Four First Nations communities in northern Manitoba will be getting new schools. 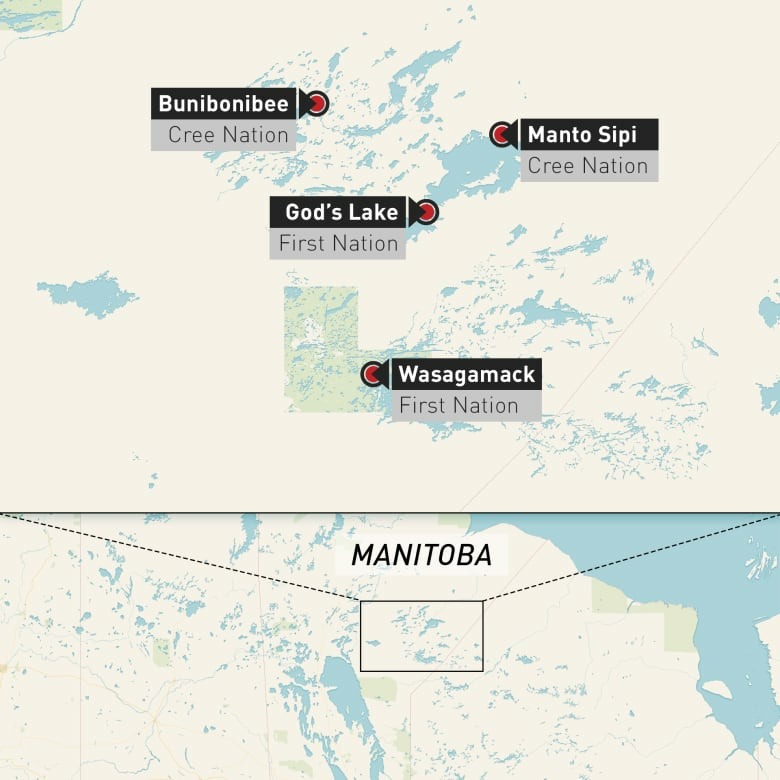 After fighting for better educational facilities for more than a decade, Bunibonibee Cree Nation, God's Lake First Nation, Manto Sipi Cree Nation, and Wasagamack First Nation have signed a contract to build four new schools in their communities. "This is a historic moment for these four communities, indeed for Canada, in that this is one of the largest infrastructure contracts that the government of Canada has ever signed with First Nations," Minister of Indigenous Services Jane Philpott announced in Winnipeg Friday morning. The schools are also being built with First Nations culture in mind. "Each school has been specifically designed with the participation of community members who know exactly what they need and what the reality should look like," Philpott said. "The schools have been designed with the needs, the traditions, the perspectives of First Nations peoples in mind." All education in the communities will be grounded in traditional First Nations knowledge with Elders being part of the education. This is a huge step for education in remote First Nations communities. The 2,600 students who will be using these schools will finally have access to the equipment needed for their education, including science labs and better technology, says Chief Gilbert Andrews from God's Lake First Nation. God's Lake First Nation led in the creation of this project, and worked with the other three communities to ensure their educational needs would be met. The school in God's Lake currently only provides education from kindergarten to Grade 9. The Grade 10-12 students are spread throughout the province. All the new schools will have access to state-of-the-art education facilities that will allow students to stay in their communities to get their education through Grade 12. "This is critical for remote communities," Philpott said. "Children will not have to leave home, they will not have to leave their parents … they will be able to complete their high school education surrounded by the land, surrounded by their loved ones." "It's very important that this is happening to our community because our students usually, when they come south for education, they are lonely," said Chief Timothy Muskego from Bunibonibee Cree Nation​. "It's been a long hard road getting where we are today, but it makes me think about my children. They will look forward to gaining their education at home and not leaving," added Chief Gary Knott​ from Wasagamack First Nation. Unlike the residential schools where so many First Nations students suffered, "these schools will be warm and bright, they will take into account traditional ways of building," Philpott said. "They will be welcoming spaces for students where they will feel at home, proud of their culture and heritage. "We are acknowledging the harms that were done in the past through residential school systems and knowing that the way of the future is education in communities that will recognize the tremendous importance of culture." This has been something these communities have been waiting for for years and they have been they have been "prioritized as some of the communities that are in most urgent need for new facilities," Phillpott said in explaining why these First Nations are receiving the new educational facilities. This project will also create more economic development opportunities for the communities, as well as a number of construction jobs and jobs once the schools are built, with a priority for community members to get trained to fill these roles. The chiefs also negotiated to include accommodations for new teachers coming into the community, Philpott says, which will be very valuable for recruiting and retaining teachers, who she hopes will come from the communities themselves or other First Nation communities in Manitoba. "We have been waiting for this moment for years, with our children, students crammed into one building for so many years," said Chief Knott. "Our students — early years, middle years and high school students — have been crammed into one building with four portable classrooms since 1976 and we are feeling that 40 years is too long to wait." The $190-million contract for these projects was signed by the chiefs of each First Nation and Penn-Co Construction Canada Ltd. on Nov. 5. Indigenous Services Canada will be providing $58 million to support other expenses related to the construction, which will begin in spring 2019. God's Lake First Nation, Manto Sipi First Nation and Wasagamack First Nation will have brand new schools for students in kindergarten to Grade 12. Cree Nation will get a renovation to their existing kindergarten to Grade 6 school, and a new school for Grades 7 to 12.